In appreciation of your service and commitment to our community, Joseph Toyota of Cincinnati offers a special pricing program to you and your immediate family members. Receiving Your Special Pricing is Easy! Obtain a first responders coin from your superior. Contact us to schedule an appointment and I will personally ensure your purchase experience is to your complete satisfaction. 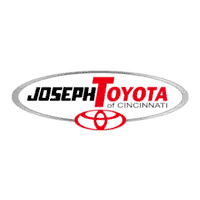 Bring in your coin to Joseph Toyota of Cincinnati and I will ensure a dealership experience that is Easy, True, & Clear. Thank you for your service and commitment! We would like to take this opportunity to show you our appreciation by offering a special purchase pricing program to you and your immediate family members. We know that this could never repay the debt that we owe you as a community, but it is our little way of saying thank you!